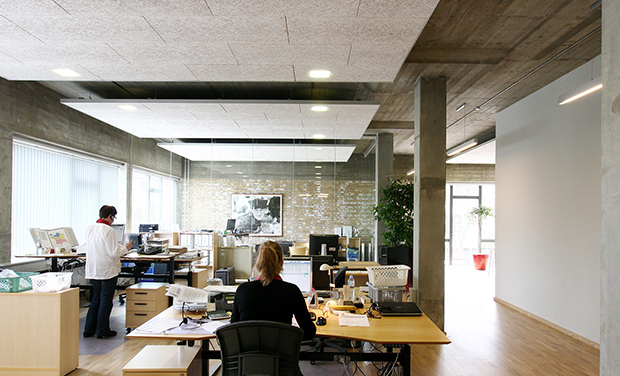 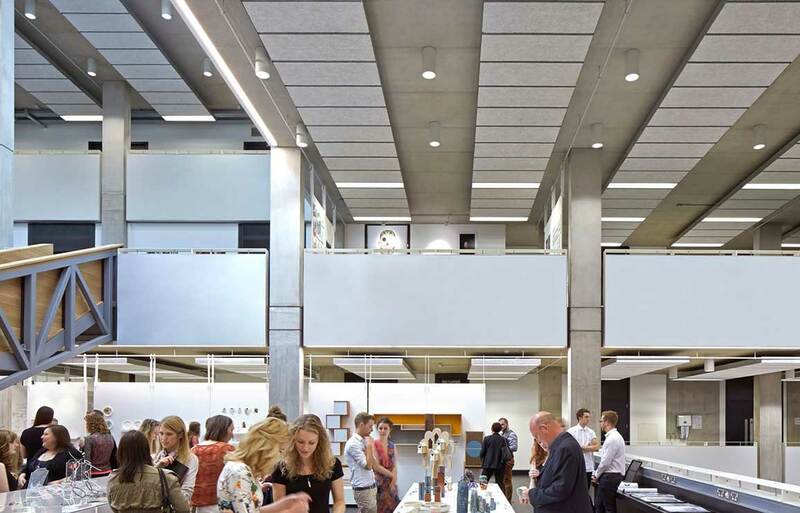 Floating acoustic clouds using Troldtekt or Troldtekt Plus are an ideal solution if it is not possible to fit Troldtekt acoustic panels to the entire ceiling surface. 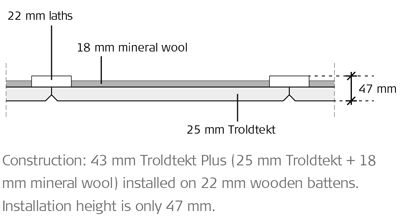 Simply install Troldtekt or Troldtekt Plus panels using the C60 profile system and terminate the clouds with Troldtekt aluminium edge profiles. 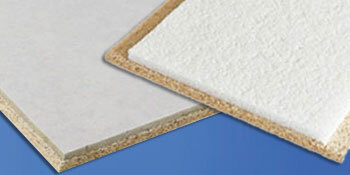 This creates an easy and elegant acoustics solution for defined areas.